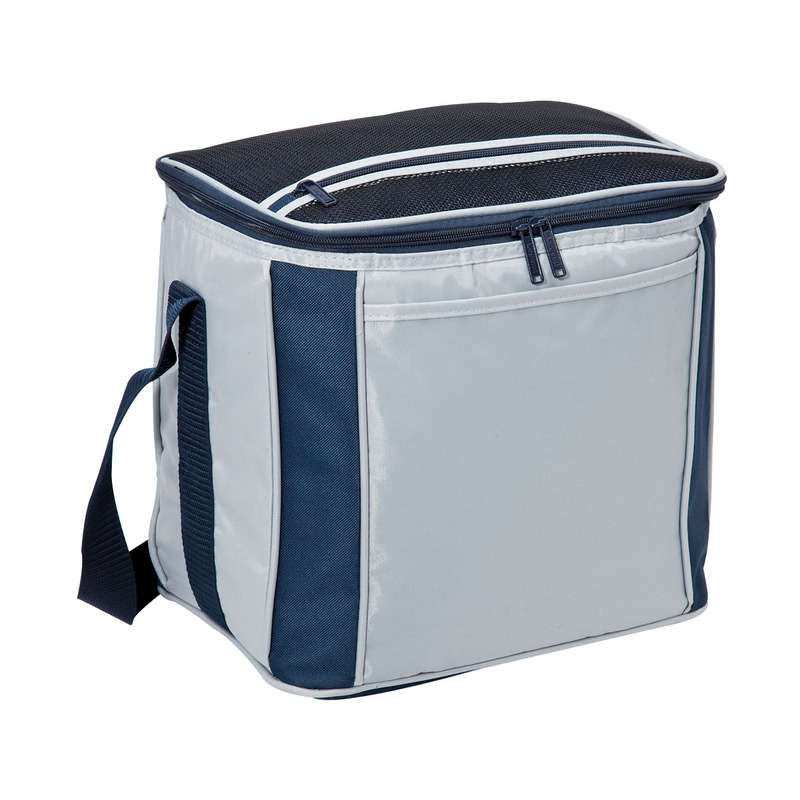 A huge 17 litre cooler bag that will make sure no one will go thirsty while on the go! 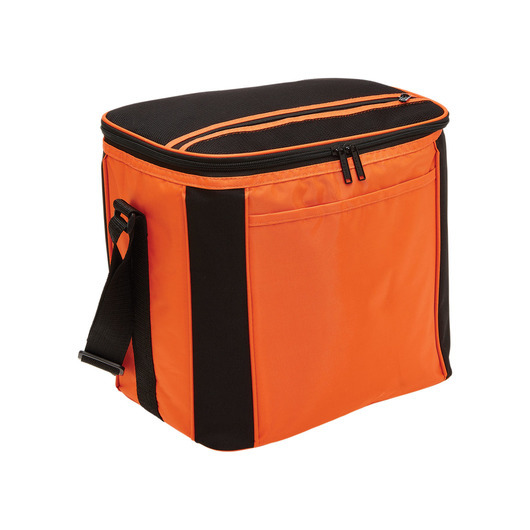 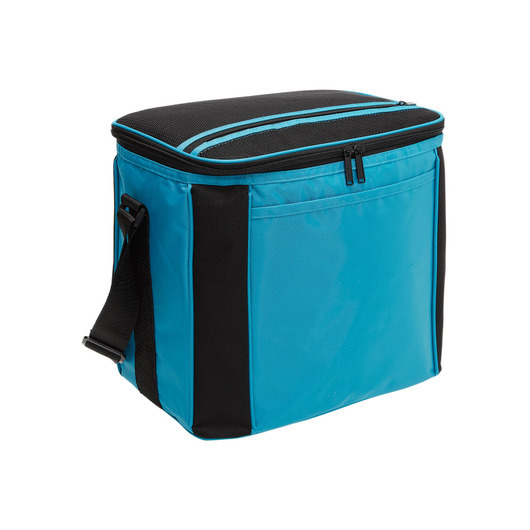 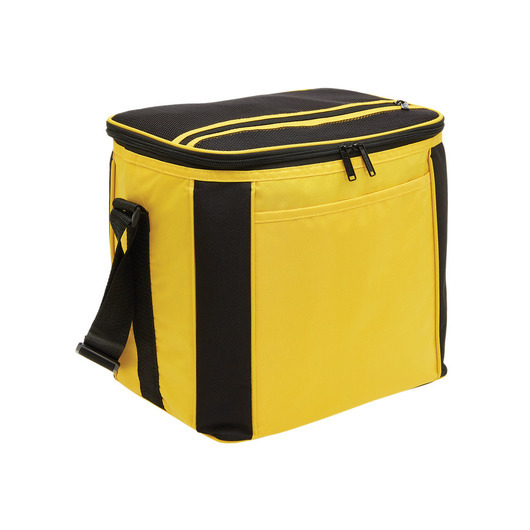 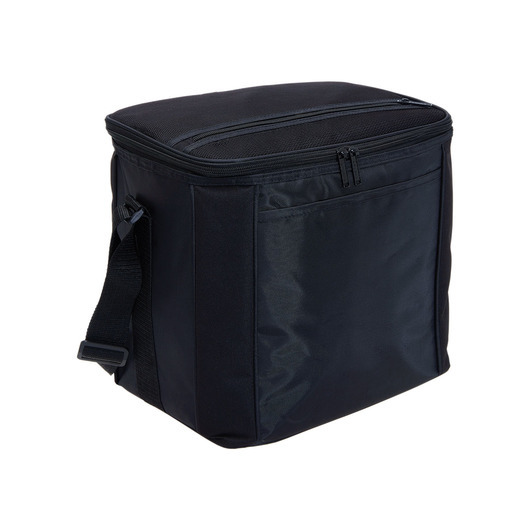 Enhance trips to your outdoor activities with this amazing large capacity cooler bag! 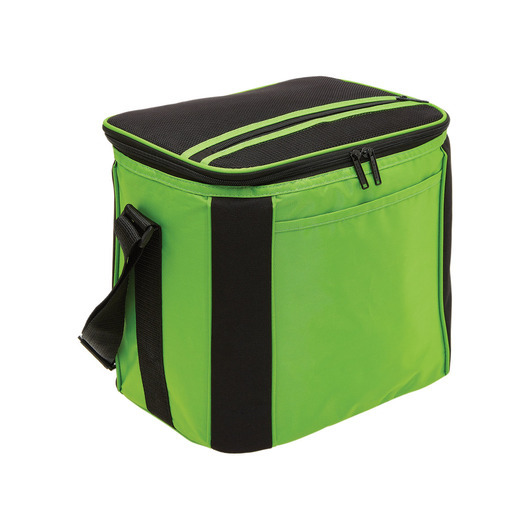 This roomy bag features a front slip pocket, adjustable webbing shoulder strap, and a zippered mesh pocket on lid. 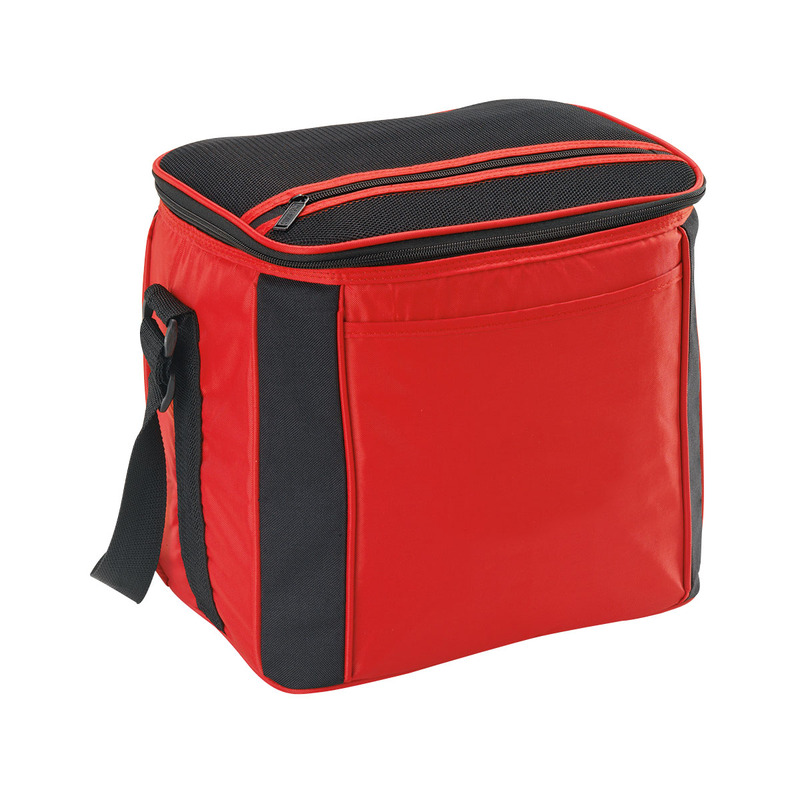 It has a carrying capacity of 17 litres and it is made from 420D polyester with PVC backing and 600D polyester contrast panels. Insulated bag for car trip, camping, picnic, weekend trip. 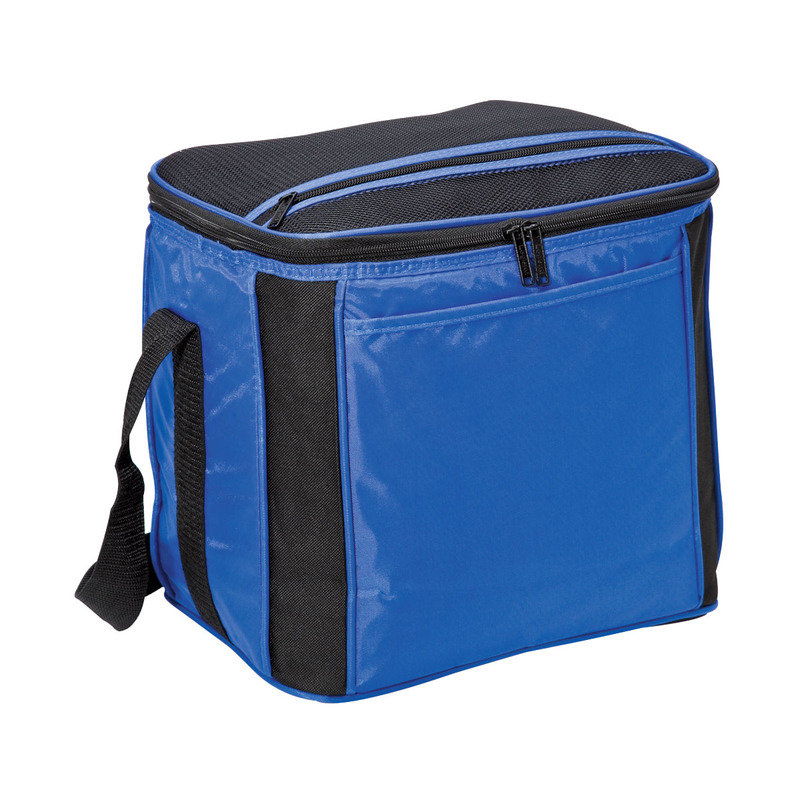 Perfect size bag for any family lunch! Easy to carry with comfortable strap.